The Upside (PG13) is in theaters now. 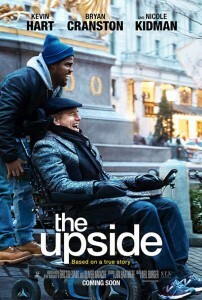 This movie, about a rich quadriplegic and his reluctant caregiver, is based on a true story. Dell (Kevin Hart), an ex-con, wants the easy way out. Phillip (Bryan Cranston) gives him a chance, creating an interesting challenge for both of them. It’s a journey full of comedy, drama and heart, as the two learn from each other and develop an unlikely bond. Glass (PG13) is in theaters now. We recommend you see both Unbreakable and Split before finishing the trilogy with this one. 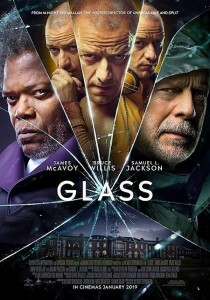 M. Night Shyamalan pulls off the extraordinary feat of combining Disney and Universal properties for this sequel, featuring Bruce Willis, Samuel L. Jackson and James McAvoy in their original roles. The plot is complicated, with each man specially contained in the same institution, to treat their individual superhero delusions (with Sarah Paulson as their doctor). BlacKkKlansman (R) is on DVD. This movie is based on the true story of the first black officer on the Colorado Springs police department, and how he managed to become the first black member of the KKK (unbeknownst to the organization). It’s an interesting story about a very serious topic, told with enough humor to drive home its points, while still being entertaining. Spike Lee has a knack for that, with great cast performances all around. Carmen Sandiego (TVG) is a Netflix exclusive series. Yes, Carmen’s been around since video games and educational software, beginning in the mid-1980s. The first couple of Netflix episodes share her backstory, which was very interesting but had us concerned about advocating a life of crime. By episode 3 we’re into the normal swing of things, learning about the geography and culture of each place Carmen visits, while STEALING BACK treasures that were previously pilfered. The great animation and voice cast make this series about a modern-day Robin Hood entertaining, in addition to the educational aspects of the show. 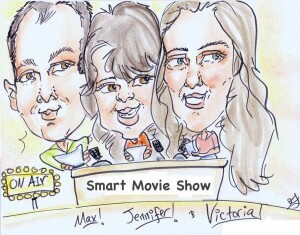 Plus box office results, what’s new on DVD and Blu-Ray, Oscar nominations and more!